Fatigue is one of the most common and most disabling symptoms of multiple sclerosis (MS) and can be worsened by something as harmless as over-the-counter medications, like nonsteroidal anti-inflammatory drugs (NSAIDs). While much of MS fatigue comes from the disease process itself or MS-related heat intolerance, there are many secondary causes of fatigue in MS. One contributor could be medications that you are taking to slow your MS down or manage specific symptoms. With that, if you have MS-related fatigue, it is important to investigate all possible causes, including side effects from some of your medications. Nonsteroidal anti-inflammatory drugs(NSAIDs) are very commonly used medications. They work by blocking certain enzymes that produce prostaglandins—chemicals produced by the body that promote pain, inflammation, and fever. NSAIDs are widely available. 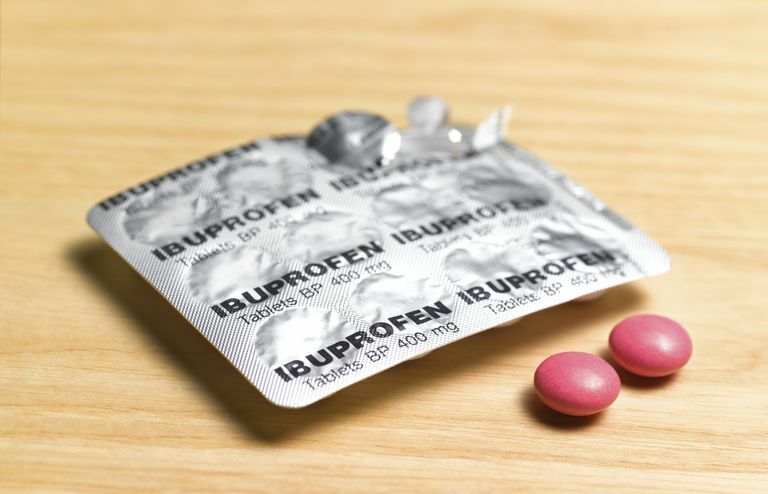 They are preferred over other pain relief medications because they do not tend to be addictive and, in most cases, do not produce the sedative effects that other pain medications do. People differ in their sensitivity to NSAIDs, however, and some people may find that they contribute to their fatigue, especially at higher doses. Many people with MS take NSAIDs when they experience a new "pain", hoping that it will help. If you tend to do this, it is important to see your doctor before launching on a self-treatment regimen. For one, you want to be sure it is safe for you to take an NSAID, considering they can cause problems affecting a number of organs like your kidneys, liver, stomach, and heart. Moreover, some MS symptoms simply will not respond to NSAIDs at all. This is because many MS-related pains are neuropathic (caused by damage to the nerves themselves) in origin and not caused by prostaglandin release (which is what NSAIDs target). Examples of nerve-related pain in MS includes optic neuritis, trigeminal neuralgia, and the MS hug. Lastly, NSAIDs may interact with other medications you are taking. For example, taking an NSAID with a corticosteroid (which is commonly prescribed for MS relapses) can increase your risk for stomach ulcers and bleeding. This is why it's important to inform your doctor about all the medications you are taking including supplements, vitamins, and herbals. Also, let’s face it, most of us get headaches, from time to time, many of which respond to normal doses of NSAIDs. The bottom line here is that it is okay to use NSAIDs if you have MS. Just make sure that they are really appropriate for the problem that you are trying to address and watch for any signs that they may be making your fatigue worse. Keep in mind, for someone that does not have MS, many of these effects could just be a passing annoyance. For those of us, however, who battle MS-related fatigue on a daily basis, any of the discomforts listed above may be enough to tip the balance between a good day and a bad day, fatigue wise. Just because it looks as if one of your medications may be contributing to your fatigue, it doesn’t necessarily mean that it is the end of the drug for you. Ask your doctor for help figuring this out. He or she may have some ideas about taking it at a different time of day or taking it with food. Maybe splitting the dose would reduce the side effects or maybe it comes in a different form, such as a time-released version, that may be better for you. Multiple Sclerosis Association of America. (2016). Pain. USFDA. (2007). Medication Guide for Non-Steroidal Anti-Inflammatory Drugs (NSAIDs).